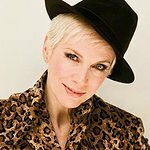 Annie Lennox has been named as International Goodwill Ambassador for the Joint United Nations Program on HIV/AIDS (UNAIDS). With an award winning career spanning several decades, Ms. Lennox is one of the world’s most outstanding musical voices. Now, she renews her commitment to speak out for women and girls affected by the HIV epidemic. Lennox is a dedicated activist and campaigner working for social justice with numerous organizations. In October 2007, she launched her own “SING” campaign, working to raise awareness and support for women and children affected by the AIDS pandemic in Southern Africa. She has previously supported UNAIDS, participating in the launch of a five-year action plan aimed at ending gender inequalities and human rights violations. The lack of access to quality sexual and reproductive health services contributes to the high number of deaths among women of the reproductive age. In her new role as International UNAIDS Goodwill Ambassador, Lennox will be in Washington D.C. with Mr Sidibé, from the 7-9 of June to participate in the Women Deliver 2010 conference and 2010 Global Business Coalition conference. 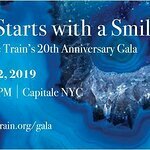 She will use these events to advocate for a global movement to focus on the HIV-specific needs of women and girls as well as to empower women and girls so that they can better protect themselves from HIV.